From Swiss watchmakers Maurice Lacroix, this men's timepiece offers refined, contemporary style. Set on a classic stainless steel bracelet, a polished stainless steel case frames the sleek silver sunray dial, simply detailed with moonphase detailing and date window. 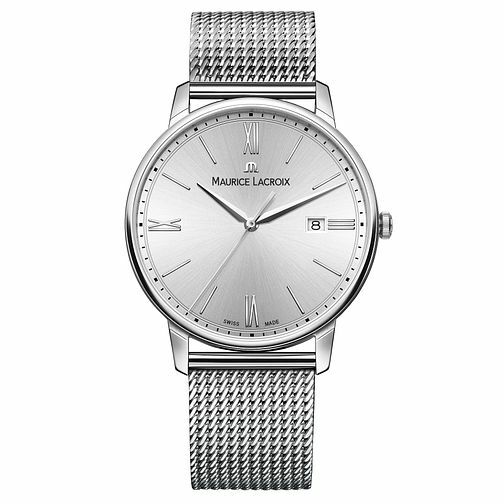 Simple sophistication from Maurice Lacroix.